In my last post, I danced around the idea that I wasn't quite ready for serious grown-up work clothes. Being in a store filled with classy office attire at JACOB, my tangential brain had a brief freakout regarding my *almost* lost youth with only a year left of undergrad until I'm thrust into "the real world". It was then that my my eyes went to a simple racerback tank top with enough detailing to make it different from the typical. With its bright pink colouring, it was still cut to be casual for any student, yet a definitely staple piece once I am in the workforce. It pretty well matches just about any neutral work pant/skirt, with just enough vibrancy to say, "hey look, I'm in colour and I refuse to melt into the mundane monotone world of cubicles!" I'd be more afraid of the real world if John Mayer hadn't already told me that it's just a lie. Such a great look, love the color combination and the boots! Thank you for the sweet words, I'm trying. Your legs look amazing. Very good post. Thanks for your lovely comment, I'm your latest follower and I hope you stop by again and follow back! Btw love your killer outfit! Would you mind if we follow each other? me too i love wearing boots! Hi Sabrina! :) You got a lovely blog with a very cute style! :) I follow you now! Btw, nice outfit, I like the top and the necklace! :) Kisses and have a lovely day! 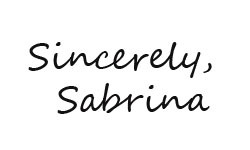 Hi Sabrina, your outfit is very cute! Love your heart necklace! Ps: I am a huge fan of John Mayer! Love his songs and the lyrics! Such a wonderful look, very pretty! Love the shirt with that pop of pink! Great location too! Nice post! Thanks for the comment on my blog---wanna follow each other? There is no such thing as a no longer being youthful. It's not like you are not going to wear your casual clothes on the weekend, don't be too upset.